Value-based medicine is an upcoming healthcare delivery system centered on the patient, and patient outcomes. The goals, gender, age, and even culture of the individual are taken into account. Volume-based care, our current system of fee for services rendered, will be replaced over time. Five factors drive value-based medicine. A primary one is the demand by patients to be more involved in the decisions affecting their health and wellness. It’s expected that value-based care will result in better healthcare at lower costs. The shift to value-based medicine has already started. For example, by 2018 the Department of Health and Human services plans on moving 50% of traditional Medicare payments to value-based models. Implementation of value-based care will require a shift in how we think about and approach healthcare. Value-based medicine is changing the landscape of the healthcare delivery system. It focuses on the goals of the patient and their perception of the value of care they receive. Payment to providers is based on how well they adhere to delivering value to the patient. As value-based healthcare takes root, medical professionals will be expected to provide evidence of outcomes before being paid. Why change to value-based medicine? In the United States and in many countries across the world, the value of the healthcare delivery system is proving inadequate to meets the needs of its primary constituency – the patients. This inadequacy is not malicious or intentional. Instead, it’s because over time, layers and layers of outdated systems have lagged behind trends and an ever-growing population. Even obsolete technology plays a factor. The result is skyrocketing costs for patients, healthcare professionals and medical organizations. Currently, we operate in a volume-based healthcare system. In other words, we pay for individual services. For every visit, test, medication, and treatment we receive, we are charged. It is a reactive system centered on illness rather than wellness. Little attention is paid to outcome measures. Payment is made regardless of how the patient perceives or experiences the outcome. Let’s review an actual case study. In 2017 Sally went to her primary care physician for her annual physical. The sequence of events that followed was not only expensive, but kept her on the sidelines. After a panel of blood work, Sally’s physician was concerned about a sluggish thyroid. To rule it out, or confirm it, he referred her to an endocrinologist. The endocrinologist reviewed Sally’s blood work and dismissed the thyroid condition. But he noted she had low salt, something Sally had lived with her entire life without negative impact. The endocrinologist believed one of her medications was the cause. Over the next 21 days he switched her prescription three times. Over the same period of time the symptoms the original medication controlled all returned. From start to finish, Sally waded through 19 different services and seven different care providers. None of the medical professionals in Sally’s case intended the ineffective outcome. Each believed they were doing what was best for Sally. The real culprit was the disjointed care. No one person knew what the other was doing and Sally trusted that each step was necessary. If the professionals had interacted with one another, Sally’s $10,000 hospital stay might have been avoided. Multiply that cost by thousands of people across the health care system experiencing the same type of disconnected care and you’ll end up with a staggering number. That’s the cost of volume-based case. In other words, each additional service anyone receives from allied health professions increases the amount, or volume of care, and the price tag. Sally is not alone. The core of the healthcare delivery structure is not negligence. It is working within, and navigating a broken system built on lack of coordinated, patient-centered care. How does value-based medicine differ from volume-based medicine? Let’s continue with Sally’s scenario. In value-based care, Sally would have gone to her physical and had the lab work done. She may have been referred to an endocrinologist. However, at that point rather than paying for each service separately, Sally may have been quoted a bundled or an episode-payment. This is an all-inclusive reimbursement model where the initial visit, the services, and any subsequent visits would have been one fee. Complications resulting from a decision to switch out her medications three times would have been absorbed by him – not Sally and her insurance company. Let’s take a look at a more straightforward scenario. If an orthopedic surgeon determines a patient needs a knee replacement, in value-based medicine, a single fee for all the services associated with the knee replacement is quoted to the patient. The cost pays for the surgery, the pre- and post-operative visits, the physical therapy, hospital stay, tests, etc. If something happens and the patient has to be readmitted (within a specific and reasonable length of time), the additional cost is on the provider – not on the patient. Payment is not based on each service, but instead upon ensuring the patient is well and returned to the best state of health possible. 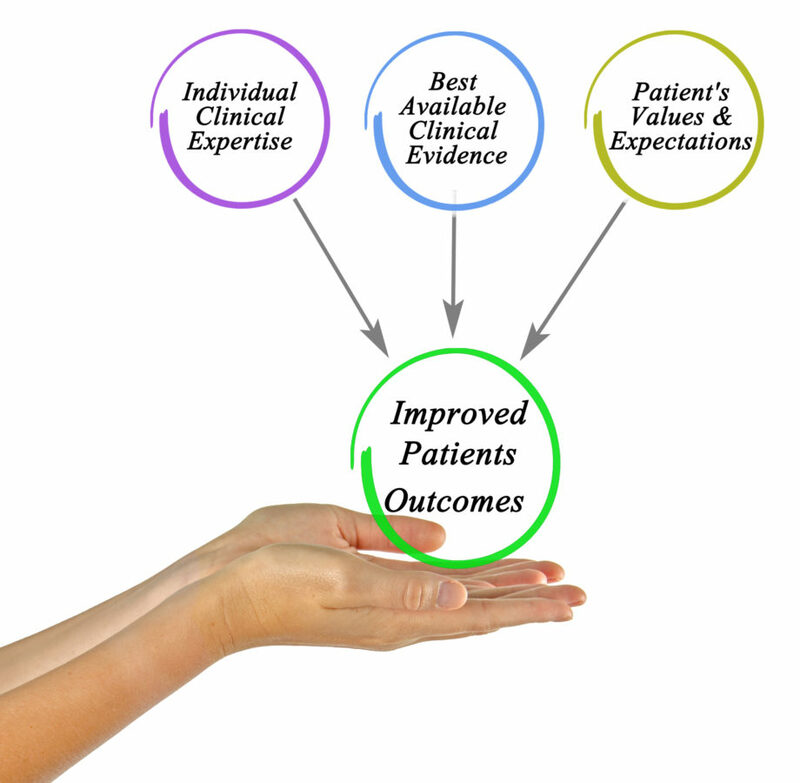 The health of the individual is the evidence-based outcome measure, which has high value, especially to the patient. The individual gets the best health care at the lowest cost. When the focus is on the individual and their needs rather than on multiple services, patient satisfaction increases and outcomes improve. Costs decrease. The shift to value-based medicine is driving both public and private payers to redesign payment models. There are several options under review, but all stress accountability for high quality care and lower healthcare costs. The Boston Consulting Group created an engaging, five-minute video presenting what healthcare looks like now and compares it to the value-based care of the future. Take a look here: Value in Healthcare – A Case for Change. What is driving value-based medicine? Five factors are contributing to the shift into value-based medicine. Advocacy – Patients want to be more involved in managing their healthcare. Healthcare specialists must take time to listen to their patients and respond to them with all the information available. Demographics – There is an increase in the number of people 65 and older (baby boomers) who need healthcare. Diseases – An increase in chronic diseases and conditions around the world requires better delivery of healthcare. Resources – Lack of resources, or inadequate resources drive up costs while pressure is applied to keep them down. Overall there is a shortage of skills and healthcare staff such as nurses. Trust – Currently patients trust their healthcare professionals less and less. Fewer and fewer patients are willing to follow instructions blindly. As adults, and the ones footing some of the bills, they want rationale. What does value-based medicine mean for patients? Better healthcare for you and your family. Clear and more transparent communication with you. Closer attention to you as an individual. Consideration is given to your culture, gender and age. Healthcare is no longer one-size-fits-all. Focused insistence on proper nutrition. Better nutrition leads to healthier lifestyles, generating improved health outcomes. Healthcare teams managed by coordinators. You’ll no longer have to coordinate everything yourself. Partnerships between you and your healthcare provider(s). Technology that connects your medical records with other allied health professions involved in your care. Can value-based care be delivered in a volume-based system? Medical professionals, and patients, can achieve a measure of value-based care in today’s service-rich system. High-value care can be delivered without fixing the entire system. For physicians, focusing on the patient requires thoughtful intention. 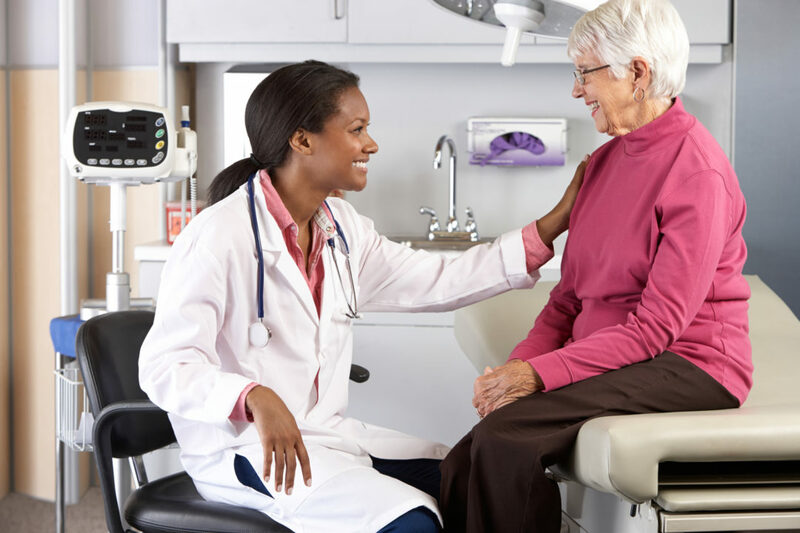 Although there are many ways a patient-centered approach can be accomplished, here are three. Include the patient in the standard of care – Involve the individual in decisions. Listen to what she or he has to say. Take into consideration gender, culture, and even personal preferences. Coordinate medical services centrally – Help patients navigate the system by assisting them with the coordination of multiple services and care providers. An integrated effort facilitated by someone in the medical system improves the quality of care. It also may return patients to the best level of health possible in less time. Be transparent – Many times patients feel they don’t have all the information. Provide honest, clear communication on their status, progress, and prognosis. Promote prevention when possible. Thoughtful intention is also required by patients. Here are four ways individuals can help. Be ready with your questions – Be specific when possible. Ensure you have your answers – Leaving a doctor’s office without them creates unnecessary frustration and may result in additional visits. Move on with your day – Once you know your next steps, it’s important to exit. It may be tempting to socialize, but you’re partnering with your doctor in a professional capacity, not as a close friend. Follow through – Embrace wellness by following through with medical advice and recommendations. You’ll feel better and may need to see a medical professional less. Value-based medicine is a partnership. Physicians and patients have to work together as a team toward the common goal of better outcomes. With better outcomes, everyone wins. What does value-based medicine mean for next-generation doctors? Act with the highest levels of integrity, keeping the patient in the picture. Communicate with transparency to the patient and the patient’s family. Embrace the use of technology and analytics. Encourage innovation and keep striving for it. Expect higher levels of accountability for outcomes. Doctors will sign off on results rather than number of services. Form improved and more effective partnerships between the public and private sectors. Consider retailers, and financial and IT organizations as viable healthcare partners. Improve upon the value, cost and quality of healthcare. Promote wellness and prevention, including a stronger focus on nutrition as prevention. Seek additional education to keep up with skills, technology and other advances in medicine. View continued education as a way to genuinely improve skills rather than CEU boxes to be checked. To see how an IT entrant into the field of medicine is approaching value-based healthcare through technology, take a look at Forward in Silicon Valley. The levels of individual, patient-centric care they achieve through the use of high tech may surprise you. Where does value-based medicine go from here? Value-based care is not bad news. It merely means that the primary focus of healthcare shifts to high quality and wellness care, including prevention, rather than illness. It also redefines the use of medical technology outside hospitals. Acceptance of new players into the healthcare field is a must. Perhaps the first step and one today’s doctors can take immediately includes gaining the cooperation of the patient. By establishing bona fide partnerships with each individual in their care, physicians can improve what is now fading trust. Trust is one of the primary pillars of strong healthcare values. If you’d like to see how a hospital organization transformed their system from volume-based care into value-based care, take a look at what Sweden’s Karolinska University Hospital did. Karolinska’s New Operating Model – Value-based care. Do you want to become an allied health professional? But you don’t know if your current high school curriculum is preparing you, read Is Your High School Curriculum Preparing You for a Career in the Medical Field? Can you begin your career to becoming a value-based medicine health professional today? The Apprentice Doctor’s Venipuncture Practice Arm helps you gain the experience needed to become a Phlebotomist. The phlebotomy training simulation arm is perfect for phlebotomy instruction and student use for real hands-on learning with phlebotomy procedures. What are value-based programs? November 9, 2017 https://www.cms.gov/Medicare/Quality-Initiatives-Patient-Assessment-Instruments/Value-Based-Programs/Value-Based-Programs.html. 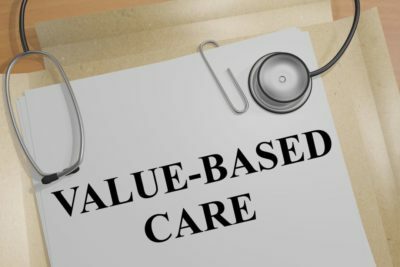 Value-based care: A new, patient-centered approach to health care, October 11, 2017 https://news.aetna.com/2017/10/value-based-care-new-patient-centered-approach-health-care/.